RECEIVE MONEY. DO YOUR TAXES, TAXES, TAXES COMPARE THE TAX PREPARATION FEES USING DIFFERENT COMPANIES. TAKE A LOOK..... 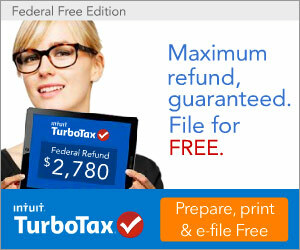 SOME EVEN OFFER FREE FEDERAL FILING. TAKE A CLOSE LOOK AT H&R BLOCK, THERE ARE TWO FILING OPTIONS. IF YOU'RE A CONDOMINIUM, CO-OP OR HOME OWNER, DON'T FORGET TO DEDUCT YOUR HOME OWNERSHIP EXPENSES. Keep up on tax law changes. 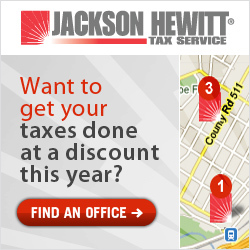 What's new for your tax return filing? A lot. Be sure you're aware of changes made that may affect your tax filing. Among those topics affected are nontaxable combat pay, retirement contribution limits, gift tax exclusions, reduction in itemized deductions and personal exemptions for higher income taxpayers AND THE GOVERNMENT SIGNED TAX REBATE.